NARRATIONS, - A narrator is, within any story (LITERARY WORK, MOVIE, PLAY, VERBAL ACCOUNT, ETC. ), the non-fictional or fictional, personal or impersonal entity who tells the story to the audience. Sometimes the narrator is also a character within the story, or VIEWPOINT CHARACTER. The narrator IS ONE OF THREE ENTITIES RESPONSIBLE FOR STORY-TELLING of any kind. The others are the author and the audience! The author and the audience BOTH INHABIT THE REAL WORLD. It is the author's function to CREATE THE UNIVERSE, PEOPLE, AND EVENTS WITHIN THE STORY. It is the audience's function to UNDERSTAND AND INTERPRET THE STORY. The narrator only exists within the world of the story and only there, - although in non-fiction the narrator and the author can share the same persona, since the real world and the world of the story may be the same....ARE YOU WITH ME SO FAR, - either way the narrator presents the story in a way the AUDIENCE CAN COMPREHEND. Perspective, interpretive knowledge, focalization and structure are the narrator's characteristics. PERSPECTIVE AND INTERPRETIVE KNOWLEDGE ARE ESSENTIAL CHARACTERISTICS OF THE NARRATOR. Focalization and structure are lateral.... the sound of a voice artist may be preferred over synthesized voices because HUMAN VOICES SOUND MORE NATURAL TO THE LISTENER. Performers are called VOICE ACTORS/ACTRESSES, VOICE ARTISTS OR SIMPLY VOICE TALENT! 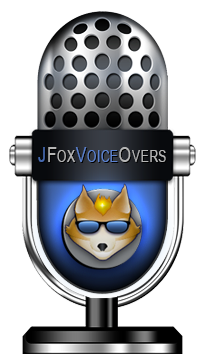 Professional Voice Over Talent and Voice Overs by Jeff Fox. Located in Tampa St. Petersburg Area. Professional Voice Actor and Voice Over Talent. Voice Overs for Commercials, Narration, Radio Imaging, Movie Trailers and TV Promos. Contact us today for your next voice over production. 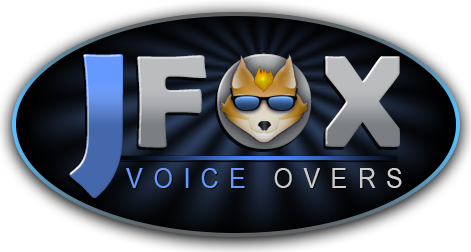 Professional Voice Actors at UsedVoices.com. Offering Professional Voice Over Talent and Commercial Voice Overs.